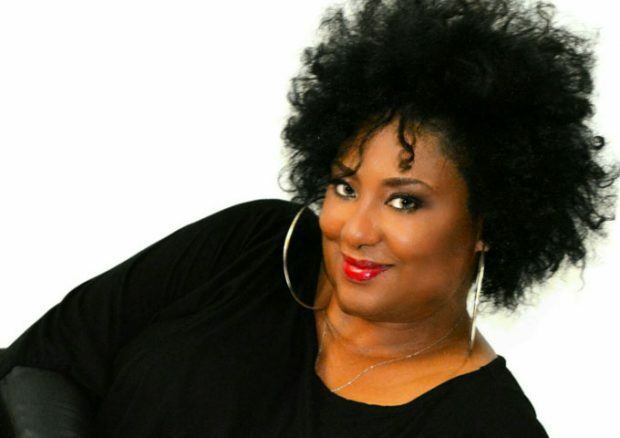 Atlanta, GA – The remarkable artistry of entertainer Toni Redd is showcased once again with her latest song release, “Underneath My Skin” from her album “Her Reddness”. Her dynamic powerful vocals are laid expressively beautiful over the flowing music that takes you on an unforgettable journey. Like many great female singers, Toni has a captivating voice that is complementary to whatever genre she sings. The award-winning songstress renders a deeply soulful offering for discriminating fans of Smooth Jazz, R&B, and Classic Soul. She is the recipient of Black Women in Jazz Award for Best Jazz Artist and Music Video for “Close to Me” from “Catching the Redd Eye” 2014, Black Women in Jazz Award for Woman of Jazz & Soul 2015, and a 2015 Georgia Music Award Nominee; the only female in the jazz category! A Lifetime Achievement Songwriting Award from the Writers Ball is the most recent addition to her honors. 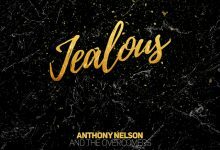 The song is a feature Choice Cut selection for the month on soultracks.com, and a Radio promotion and marketing campaign is underway to bring her music to the masses and grow a legion of fans, it is a designated National Radio Chart Pick by Airplay Magazine. Audiences are in for a treat wherever she performs. Among the shows included on her upcoming calendar are: April 21st at The Velvet Note, 4075 Old Milton Pkwy, Alpharetta, GA, May 28th at the Atlanta Jazz Festival, and July 8th at the Old School Blues and R&B Festival, Benton Harbor, MI (with Grammy Winner Bobby Rush; and The Chi-Lites). Ms. Redd is selectively featured at numerous jazz festivals such as the Maui Music Festival, and the Atlanta Jazz Festival, just to name a few. She has performed on the Domestic and International circuit with much revered musicians such as: Najee, Gerald Albright, Jonathan Butler, The Rippingtons, Marion Meadows, Pieces of a Dream, Alex Bugnon, Angela Bofill, Rick Braun, The Ohio Players, Morris Day and the Time, Everette Harp, The Yellowjackets, Gerald Alston, Stanley Jordan, Brian Bromberg, Steve Cole, Fattburger, Chico Debarge, Pamela Williams, The Temptations, Warren Hill, Oleta Adams, The Stylistics, Walter Beasley, Bob Baldwin, Tom Browne, and Kim Waters. Toni Redd is dedicated to creating timeless music and is amassing a body of work to enhance a growing discography as she raises the ante, and her profile. Although music plays an integral part in her life, it is not a singular focus of her creative expressions. She is an all-around performer and actress whose voice can be heard on National Commercial Jingles, and acting credits include the independent film “Losing Grace, The Tyler Perry film, “A Good Man is Hard to Find”, and touring with the stage play “A Good Man is Still Hard to Find”. Artist Manager Ms. Daryl M. Donald, Esq, has assembled a team of Industry veterans to collaborate in the efforts to further build the brand, explore mutually rewarding alliances, and boost the trajectory of the multi-faceted entertainer, Toni Redd. Booking is available via: Ms. Daryl M. Donald, Esq.